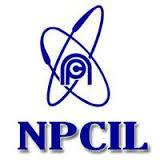 Nuclear Power Corporation of India Limited (NPCIL) Has Invited Application Form For 09 Assistant. Age Limit: Age should be between 18 to 25 Years(Post 1), 21 to 30 Years(Post 2,3) As On 19-01-2016. How to Apply: Eligible and Interested candidates may download application through official website before or on 29th Feb 2016.